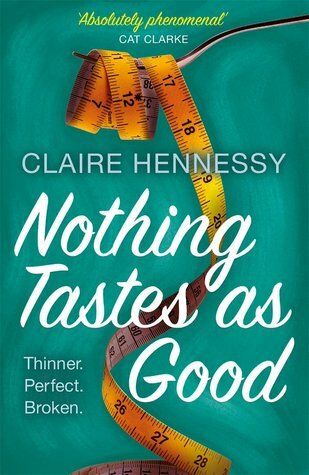 The new favourite series for fans of The Curvy Girls Club, the Shopaholic series and Eat, Pray, Love. Review: This series is just getting better and better. 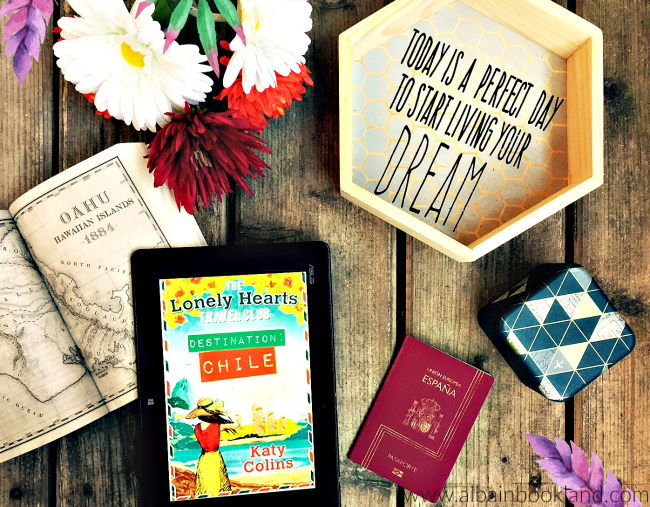 After loving Georgia's adventures in Thailand and in India, I was really looking forwards to joining her in her new adventure: Chile. This time though, she is not travelling alone as it seems that things with new boyfriend Ben are going well and both of them are invited to take part in a reality show that will take them to this beautiful country. The reality is about couple who have a business together and during their stay in Chile there are several challenges, where the couples have to compete with each other. As you can imagine, the whole thing doesn't go as smoothly as they first thought and you find yourself laughing out loud almost non-stop. I really enjoyed reading about the whole experience, especially discovering this new side of Georgia, as part of a couple and of a team. We know that after everything she's gone through, she doesn't trust easily so I was really curious to see how well (or bad) Georgia and Ben worked together. But the book is not only about the show, Katy Colins takes us to Chile and as usual, she does a great job describing this new place to us (at least new to me, as I've never been there but now I'd love to visit it!). She has a special way of making you picture yourself there, walking in the streets of Santiago or taking selfies with a llama. She also has the power of making me check flights to the other end of the world every time I read one of her books. She certainly knows how to spark my wanderlust. 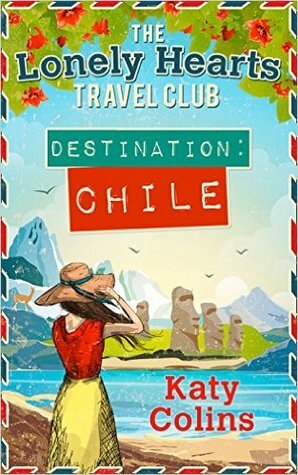 Destination Chile is another winner by Katy Colins. It's full of surprises, laughs and craziness but it also has a more serious part that balances the story perfectly. If you haven't met Georgia Green yet, you are missing out. She is one of the most fun characters you can find and I'm absolutely loving discovering the world through her eyes. I'm already looking forward to a new adventure. Hi CJ and welcome to Alba in Bookland. First, can you tell us a bit about yourself? Yep, I’m the author of five YA books - Pretty Bad Things, Rockoholic, Dead Romantic, Monster and The Deviants. I was born in 1980 in Weston-super-Mare. I have First Class degrees in Creative Writing and Writing for Young People and, aside from writing novels, I work as a freelance children’s fiction consultant for publishers and scouts while also lecturing on the Postgraduate course in Writing for Young People at Bath Spa University. My sixth novel Sweetpea is a contemporary adult black comedy and will be published in April 2017 by HQ/HarperCollins. 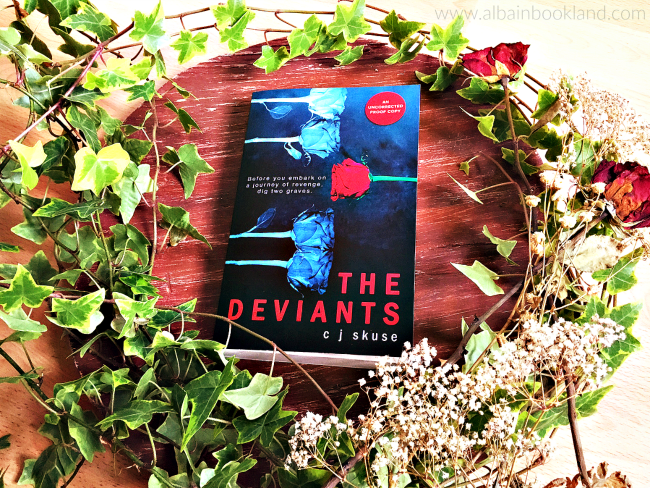 Your latest book, The Deviants, is described as The Famous Five meets We Were Liars: five teens spend a summer getting revenge on the people who have wronged them, with tragic consequences. What inspired this story? I started writing The Deviants in 2001, initially to do a modern YA mickey-take of Enid Blyton’s Famous Five novels; a group of teenagers would terrorize a small seaside town and then prove themselves by solving the mystery of a serial killer or something. Then I kept getting bored of writing it and I think that was my subconscious telling myself I wasn’t ready to write it yet. I picked it up again last year when I was contracted to write another book in the same vein as Monster and by this point, I was ready to write it and I knew what kind of story, tonally, it had to be. It was always in my mind to write an ensemble piece about a group of kids who ‘do something’ – it just took me a long time to realise what they did! This book kept me in my toes for hours and surprised me more than once. When you were writing it, did you have it all figured out or did you let the characters play a bit? For my last two books, I’ve had a general idea of where it’s going and both times, the ending has surprised me and this has greatly enriched the stories in my opinion. George R R Martin says that writers are either gardeners or architects when it comes to planning – I think it’s good to be a bit of both; to have some idea of how it’s going to go and how the characters all interact with each other but to also allow for the unexpected. For instance, in the very first draft of the story, Zane wasn’t even part of the Fearless Five. He was this very two-dimensional school bully who’d beat up the younger kids for their lunch money. But then I realised why he was so angry and how it related to the rest of the group. He’s actually my favourite character – I wanted to bring him into the story more but he wasn’t ready, until the end. I love how his arc develops. Was it difficult to get in the head of these teens? They have so many issues and secrets, especially Ella. Did you have to research certain topics? Yeah, without going into too much detail I found case studies in real life and online for all the characters in the story, even Neil. It was important for me that these characters comes across as realistically as possible. I also did a hell of a lot of research that’s not in the book about mental asylums as Jessica was originally going to have been sent to one and kept as a secret, but that subplot disappeared in about the 5,645th draft! I researched boxing a bit too, and legal highs, plus cerebral palsy and pregnancy. My research took me to lots of new places/people which is the wonderfully random thing about writing fiction. What do you expect your readers to feel while reading The Deviants? I just want readers to invest in it – to want to follow these characters and care about what happens to them. I also want them to feel Ella’s anger - because I think if you feel the way she does, you will understand why she acts the way she does, especially at the end – I want them to feel the chronic injustice of it all. Why did you decide to start writing YA? I don’t think I knew I was writing YA until someone asked me why all my protagonists were in their teens, and that’s because I was 16/17 when I started seriously thinking about pursuing writing as a career. Until that point, I wanted to be Gillian White or Irvine Welsh – I just thought I was writing stories. I was quite an unhappy teenager – I had total ‘square peg’ syndrome, so to speak; still do sometimes - and writing was a total catharsis for me. It still is today, while also being a job that I have to discipline myself in order to do. I tend to work out my feelings through writing. Each book I’ve written has been a direct response to an event in my life – bereavement, redundancy, heartbreak, it’s all there! What are you working on now? I've read that your next book might not be YA, can you tell us a bit about it? 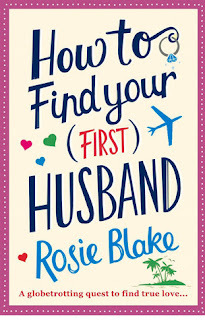 Yes, it’s a contemporary adult black comedy, being pitched as Bridget Jones’s Diary meets Dexter which is probably the most accurate summation of a book ever! I watched that BBC 3 show Fleabag recently too and there’s definite shades of that in it. My character is your everyday girl-next-door type of woman, trying to hold down a job, a relationship and friendships while simultaneously having an incredible lust for murder. It’s first and foremost a comedy but with dark themes and lots of killings. And it’s called Sweetpea. For any readers that are new to your books, how would you describe your writing? My books were once described as a children’s birthday party that someone has thrown black paint all over. I love that description and have used it ever since! And finally, what is the latest book that has blown you away? I bang on and on and on about this book all the time but it’s a book called Amy, Chelsea, Stacie, Dee which Penguin Random House have published in the States and which The Chicken House are publishing in 2017. I had no preconceptions when I picked it up in my capacity as a reader and at the time I was going through a massive YA reading slump – nothing was really impressing me and everything was getting a bit predictable – then this book came along and blew me out of the water. Constantly kept me guessing and confounded my expectations. Stunning novel. Thanks so much CK Skuse for stopping by and answering all my questions! 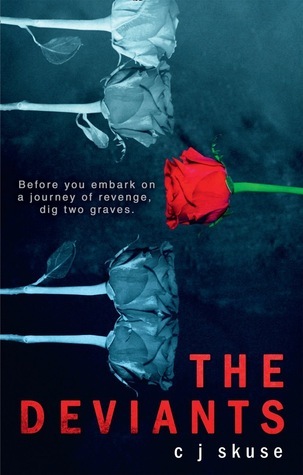 The Deviants is an unmissable read, I hope that you all pick it up after reading a bit more about it. C.J. Skuse was born in 1980 in Westonsuper-Mare, England. 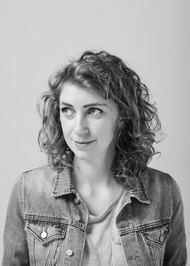 She has First Class degrees in Creative Writing and Writing for Children and, aside from writing novels, works as a freelance children’s fiction consultant and lectures in Writing for Children at Bath Spa University. C.J. loves Masterchef, Gummy Bears and murder sites. Before she dies, she would like to go to Japan, try clay-pigeon shooting and have Ryan Gosling present her with the Academy Award for Best Original Screenplay. 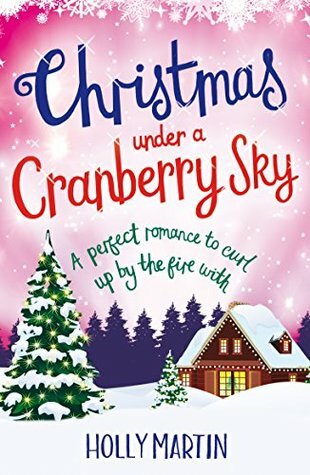 Review: Christmas under a Cranberry Sky has the perfect setting. I think I had never wished a fictional place was real so much (except for Hogwarts). Juniper island sounds just magical and I want to move there indefinitely. It's supposed to be part of the Shetland Islands and the northernmost point of the British Isles. It is also a prime location to spot the northern lights or merrie dancers, as the locals call them. And Gabe Whitaker has built an amazing winter resort with cabins, glass igloos and even a glass palace. Oh and reindeer! How cool is that? That's how Gabe and Piper meet again. Piper is a hotel reviewer and ends up at Gabe's resort for Christmas without knowing he is the owner. Gabe and Piper go way back, they were childhood sweethearts but after a series of unfortunate events, they lost touch. This is something that annoyed me a bit at the beginning. If you love someone so much, why wouldn't you just talk with them and clear any misunderstandings? But as we get to know the characters and learn about all the circumstances, I kind of got why Piper just left and Gabe didn't try to get in touch. Plus, if they hadn't split up then, we wouldn't have this amazing story now. I really liked the atmosphere of the island and its lively community, how everyone was ready to help each other and how nice they all were. It was great to catch up with some favourite characters from Holly's previous books too! And I found the idea to turn the village in a permanent Christmas market fascinating. The food sounded delicious and the handcrafted items so unique and magical, especially the snow balls. As you can tell, I fell a bit in love with this place. Another highlight of the story were the many lol moments that Holly Martin added to the story. I found myself laughing out loud more than once, especially when the gang of Shetland ponies was creating mayhem. Few authors make me laugh so much as Holly. 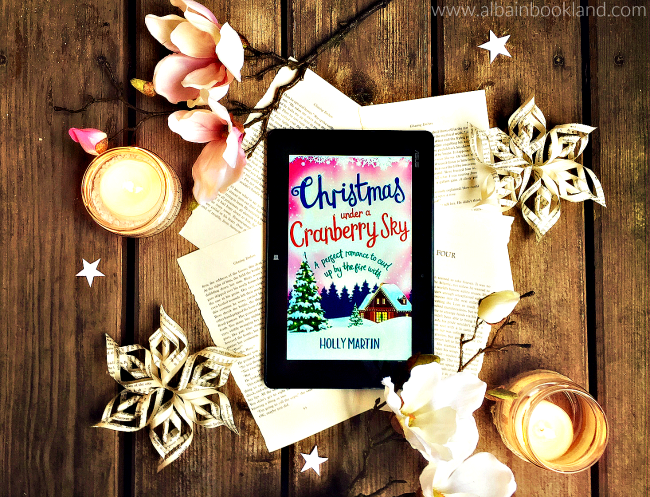 Once again, Holly has created a lovely and heart-warming story with her unique magical touch. No one writes modern fairy tales like her. I'm already looking forward to the next story in Juniper Island, which is going to be all about Gabe's sister. 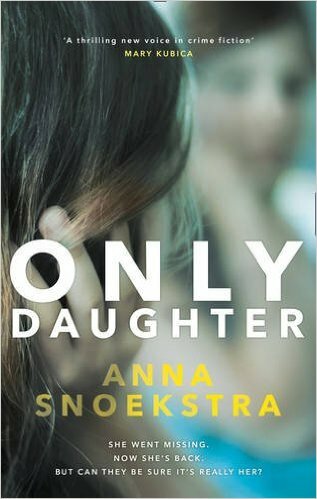 Today I review Only Daughter, the debut novel of Anna Snoekstra. I recently had the pleasure of interviewing her and we talked about her book, its setting, her inspiration and what she's working on. Have a look at it here. Blurb: In this chilling psychological thriller, one woman's dark past becomes another's deadly future. Review: I found the premise for Only Daughter really intriguing, a girl disappears and then, more than a decade later, a woman claims to be her. We know from the beginning that the woman is just pretending to be that girl, Rebecca Winter, to get away from her own troubled life but no one else does. Her family, her friends and the police officer who was in charge of the investigation, all think Rebecca is back. I really had no idea how the story was going to go but I certainly didn't expect all that happened. Soon the narrative turned really disturbing and tense and it became really difficult to stop reading it and disconnect from the story. And the ending was a real surprise and quite clever too. I think the two points of view worked really well: Rebecca's last week before her disappearance and the impostor's present time. They complemented each other and as we jumped from past to present we learnt more and more about all the characters involved until you just didn't know who to trust anymore. 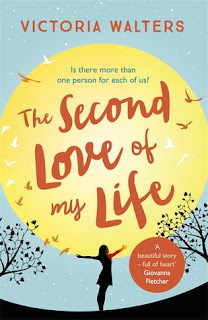 I think the past chapters add a bit of light to this rather dark story as we read about Rebecca being excited about life, her first love, her relationship with her best friend. Overall Only Daughter is a really well written and clever thriller, full of tense moments and unexpected twists. The whole atmosphere is disturbing and dark but addictive too. I just love it in a thriller when there's a moment you realise nothing that you thought is true and anything can happen. I will certainly be awaiting Anna Snoesktra's next thriller. 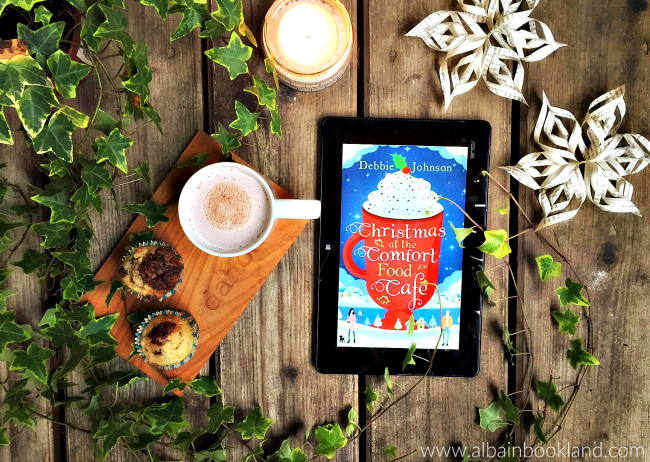 The amazing Christmas at the Comfort Food Cafe by Debbie Johnson is out today! 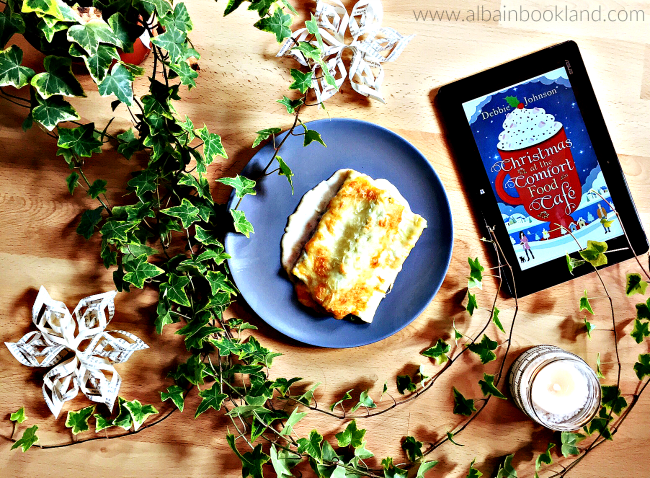 And to celebrate, HarperImpulse, has asked some book blogger to talk about their own Christmas comfort food. When I think of Christmas and comfort food, the first thing that comes to mind is canelons (cannelloni). You might think this is an Italian dish but in Catalonia we have our own version of it and it's a really traditional dish to have for Christmas (since the 19th century). And definitely my favourite Christmas food. If there are no canelons, there is no Christmas. 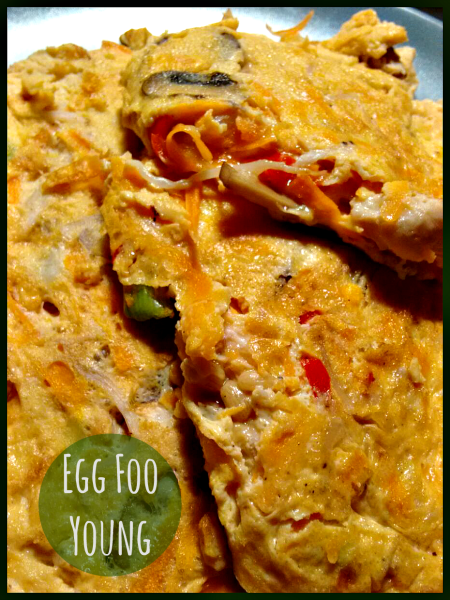 The elaboration to make them is quite complicated, I have never tried myself but it takes at least a couple of days if you make them at home. I remember that my late grandma used to make them and I would help her making the filling with a really old mincer. So because it takes so much time to make them, it's a dish reserved only for special occasions. My mum is not very kind of cooking, so she usually just buys them at the butcher, they are usually really good too but luckily for me, my mother-in-law still prepares them every Christmas the traditional way and it's always a highlight of the meal. She makes like a hundred of them so she can freeze them and we enjoy them for a few weeks after Christmas. 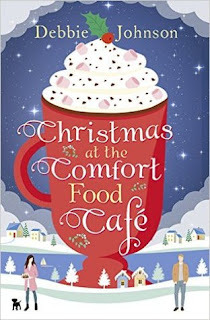 While reading both Summer and Christmas at the Comfort Food Cafe, I fell completely in love with the the Cafe and all its quirky characters, especially with the owner, Cherie, who was bigger than life. I found it really cute that all the regulars had their own specials and they tried to help and be nice to all the newcomers. So I think that if I went to the cafe, my special would be canelons because of all the memories it brings back and because it's just delicious! Read my review of Christmas at the Comfort Food Cafe here! Blurb: Becca Fletcher hates Christmas so much, she’s considering getting ‘Bah Humbug!’ tattooed on her forehead. She has her reasons for being Little Miss Grinch; Reasons that make this the very worst time of year for her. Now, though, she can’t avoid her version of ho-ho-hell – because she’s travelling to the Comfort Food Cafe to spend the festive season with her sister Laura, and her family. She’s expecting mulled wine, the smell of pine trees, 24-hour Christmas movie marathons and all kinds of very merry torture. 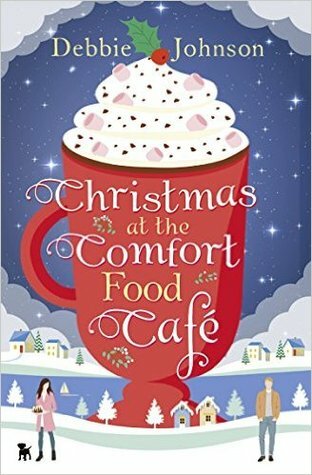 Inviting readers new and old to pull up a cosy armchair, Christmas at the Comfort Food Cafe is the novella-length follow-up to the 2016 best-seller Summer at the Comfort Food Cafe. Hi Anna and welcome to Alba in Bookland. First, can you tell us a bit about yourself? I’m an Australian writer living in Melbourne with my husband, two housemates and tabby cat. I was born in Canberra, and moved here about ten years ago. I studied Screenwriting originally and spent years making short films, music videos and writing feature-length scripts. It was a great experience to be able to write something and then see it come to life! A few years ago I decided to try my hand at novel writing and have since fallen in love with it. Last year was a life changing for me, with my novel being accepted by a publisher and the option for a film adaptation being taken. I also eloped to Nashville with my boyfriend where we got hitched! Your debut novel, Only Daughter, is about a girl who disappears and a woman who returns, many years later, claiming to be that girl. What sparked this idea? I was fascinated with the idea of imposters after seeing the Ingrid Bergman film Anastasia, about a woman who pretends to be the long-missing royal Anastasia Nikolaevna. After a bit of research I was surprised that the impersonation of missing persons has happened countless times throughout history. Martin Guerre in 16th century France, Walter Collins in Seattle in the 1920s. Even more recently is Nicholas Barclay in 1990s Texas. I spoke to an Australian Missing Persons Detective about her experiences, as well as how this would scenario would play out now which was fascinating. In some ways I think everyone plays different parts for different people. Maybe you are sassier with your friends, sweeter with your mother. I wanted to take this idea to it’s absolute extreme. I find the idea of becoming someone else captivating and was really interested in the way a person could play tourist in someone else’s life. The ending took me completely by surprise. Did you have it planned since the beginning or did you start writing and just let the characters play? A little bit of both. I have the big events planned out, but I try and let my characters find their way there organically. I let them react to the events organically, and sometimes that changes the way the story turns out. Character is always more important than plot for me. I really believe in the subconscious part of writing, and I try and embrace that. I think that if you plan things out too much, the story can loose some of it’s heart. This is the first book I've read set in Canberra, why did you choose it as your setting? Could this story happen anywhere or does the setting play a key role in it? Canberra is a very small and new city, with bush pressed up against modern buildings. It’s the kind of place where it isn’t uncommon to see kangaroos hoping down the streets of the sprawling suburbs. I grew up in Canberra, and I was a teenager when the bushfires that swept through the city in 2003. These events are vividly etched in my memory. Setting Bec’s story during this time made her feel even more real to me. The fires got very close to my house and we had to evacuate. It affected everyone I knew and a lot of people lost their houses. In some ways I guess the bare bones of this situation could happen anywhere, but for me the city and this story are inextricably linked. What do you expect your readers to feel while reading Only Daughter? I believe that you need to weight darkness with light. I really wanted the story to have a sense of fun, to avoid it becoming relentless in its more frightening themes. So I hope readers will feel the joy of the book as well as the horror. 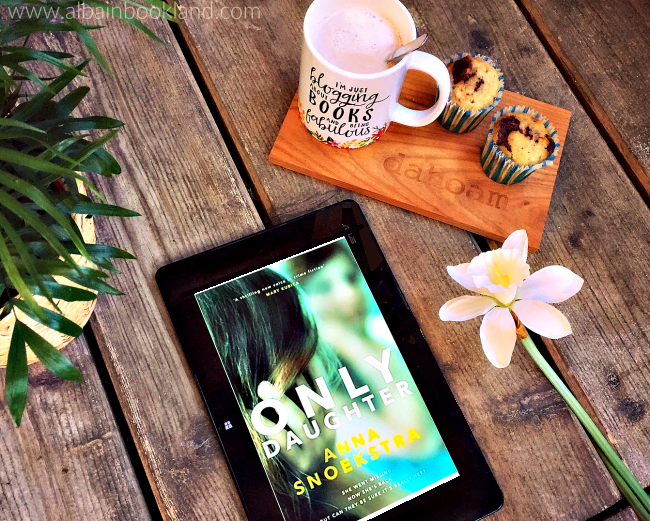 Only Daughter has all the ingredients of the perfect Psychological Thriller: tense and fast-paced with unexpected twists and unreliable characters. Could you tell our readers what else this book has that makes it stand apart from the crowd? I think it’s that sense of joy. Readers are invited into the beautiful, unblemished friendship of Lizzie and Bec. They are allowed to remember the joy of your first crush, or the pleasure of that first kiss with someone you think is amazing. They are able to see the other side of the counter at McDonald’s, where camaraderie is everything and your colleagues are your family. Where the summer feels endless and the days are long and friendship is everything. Why did you decide to start writing thrillers? When I was a kid I was never allowed to watch anything scary. I would sometimes get up in the middle of the night and watch thrillers on the foreign language channel with the sound off, just reading the subtitles. I think I was always slightly fascinated with darker stories, partly because they were forbidden! I also believe that thrillers are a good medium to discuss some real-world issues that are hard to talk about directly. I definitely funnel my fears and anxieties into my work. It can be very cathartic. I've read that Only Daughter is being published in several countries and Hollywood has shown interest in it. How are you feeling about it all? I couldn’t be more excited. It’s amazing that people are connecting to this story, which feels so personal to me. I’m still getting my head around the idea that people are reading it, especially in different countries to Australia. It’s fantastic! Which authors have inspired you to become a writer yourself? When I was thirteen I was strangely obsessed with Mary Shelley. I found Frankenstein hard to read at that age, but I loved the story behind it. I thought it was so inspiring how she described the summer she wrote it as “when I first stepped from childhood into life.” I think I also liked how she surprised everyone with how fantastic, and how dark, her story was. And finally, what can we expect from you next? At the moment I am in the midst of the process of editing my second novel, Dolls. It’s about a young woman who desperately wants to be a journalist and how far she’ll go to get a story. It’s about ambition, and societal notions of success. It will be out around this time next year! Thanks so much Anna for stopping by and answering all my questions! Only Daughter is an unmissable story, I hope that this interview has picked the curiosity of many readers. Review: this summer I had the pleasure of reading Summer at the Comfort Food Cafe and I fell completely in love with this cafe and its lively community. 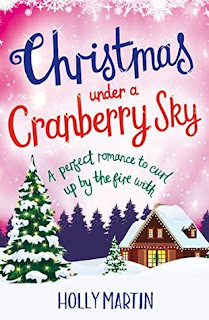 So when Debbie Johnson announced she was writing a Christmas novella, I was over the moon. This time the story was all about Becca, Laura's sister. We only met her via phone this summer so I was really curious to know more about her. And if you haven't read the summer part (which I highly recommend), you can easily read this one as it has its own stand-alone story. 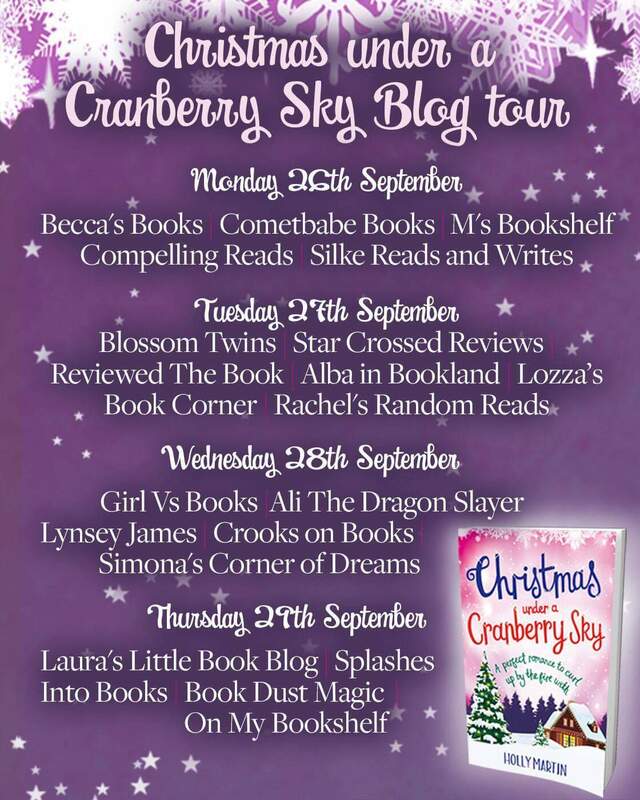 The story starts when Laura and Becca were little kids and we read about their Christmases back then. I really enjoyed this part as we get a clear image of how these characters were back then and gives us the perfect background to understand them better as adults. When we fast-forward to the present, Becca, who we now know is not the biggest fan of Christmas, is about to join her sister at the Comfort Food Cafe for the first time to spend Christmas with her and her family. The cafe is like a sanctuary for Laura, it's the place where she found herself again so she hopes it will help Becca too. But Becca is more than OK with her current life. She has demons from the past but she has get used to them by now and is in no rush to change anything, or so she thinks. I really enjoyed getting to know Becca. She was difficult to love sometimes but I couldn't help but care for her. Once again, Debbie Johnson has created a story with so much heart. It has a greater depth that really gets to you and all the Christmas elements just add a touch of magic that complement the main story perfectly. It was also great to catch up with the characters from the previous book. My only complain is that this is a novella and not a full book! And I hope we'll revisit the Comfort Food Cafe again in the future. All in all, I can't recommend this story enough. Perfect to enjoy on a crispy afternoon with a delicious hot chocolate (with marshmallows!). I'm sure you'll fall in love with the cafe and all its regulars too. Blurb: In the Cornish town of Talting, everyone is famous for something. Review: Before picking this book, I had heart great things about it so I guess my expectations were really high, maybe too high. After reading it, I can't tell you that I didn't enjoy this story, because I did. But I can't tell either that I loved it. I did see great potential in it and Rose was a really interesting character to read about but her story didn't blow me away as I was expecting. Rose lost her husband two years ago and is still struggling to get her life back to normal. She hasn't picked her painting brush, her passion, for two years. But the appearance of a mysterious man, makes her start reconsidering her life. The mysterious man is Robert, who you can tell from the beginning is hiding quite a big secret. I didn't really get Robert, I was curious about him at the beginning but I soon lost interest in him. I was also not really sure he was a good match for Rose. But as I said, Rose was a very interesting character. I think the author portrayed her feelings extremely well as you could clearly sense her struggles and doubts. And you couldn't help but care for her. But all in all, the story dragged a bit too much for me. Especially as everyone in town wanted to be part of the story and I think Rose deserved to have her own story with no interference. The Second Love of my Love is an emotional and complex story that will touch many hearts. 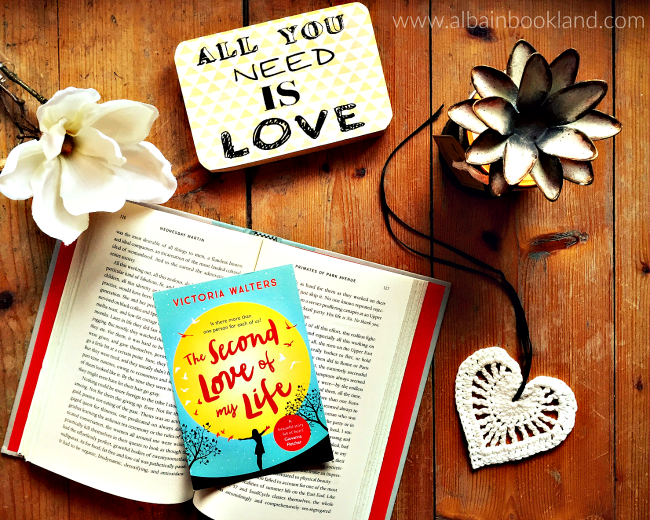 And I'm sure Victoria Walters will write many more beautiful stories as I found her writing really touching and sincere. 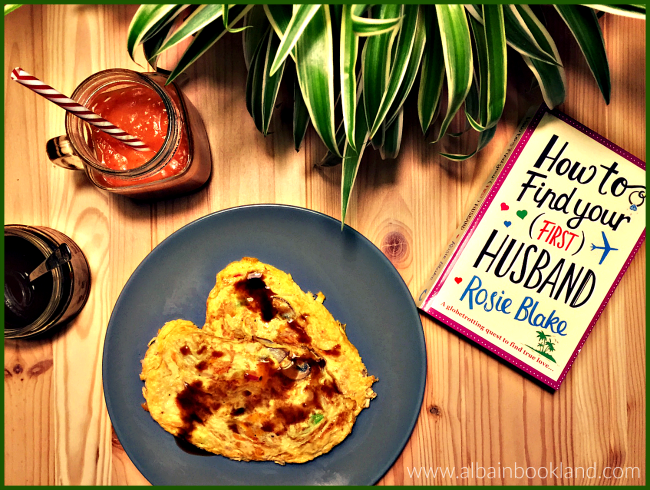 Welcome to Bookish Recipes, a feature on the blog where I cook or bake a recipe from a book I have loved and share the result with you. 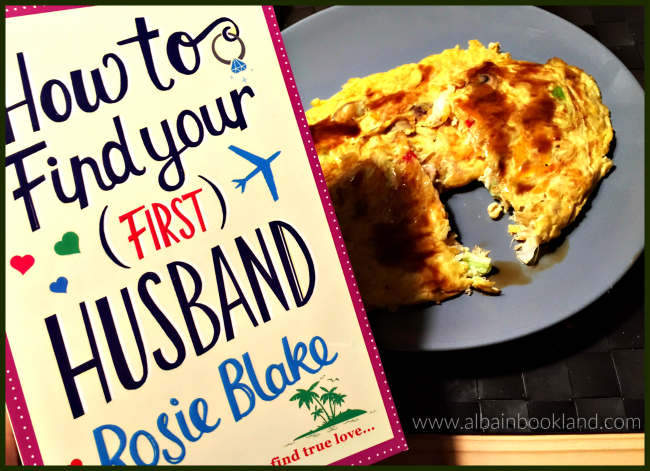 This time the recipe is inspired by the book How to Find Your (First) Husband by Rosie Blake. This story is completely bonkers and I couldn't have loved it more. It is everything a summer read should be and more. 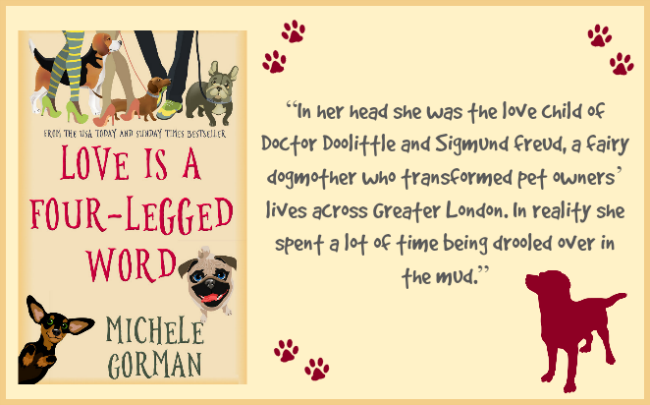 With an amazing setting, lovable character, an hilarious plot and turtles thrown into the mix, this is the book you cannot miss this summer. Laughs and good vibes guaranteed! 1) Whisk the eggs in a large mixing bowl. Stir in the chicken, mushrooms, bean sprouts, bok choy, carrots, scallions, pepper, grated ginger and garlic. Season with salt and pepper. 2) Drop about 1/2 cup of the mixture onto the griddle for each "pancake". Cook until golden, 2 to 3 minutes per side. 3) Meanwhile, mix the cornstarch with a splash of chicken stock to dissolve. Combine the remaining stock, the cornstarch mixture, soy sauce, hot sauce and sliced ginger in a small saucepan. Boil until it thickens a bit, about 3 minutes. Discard the sliced ginger. 4) Put 2 pancakes on each plate, top with the gravy and enjoy! Blurb: It's a beautiful day in 1994 and the turn-out in the school playground is fantastic. Isobel is eight years old and marrying Andrew Parker, the boy of her dreams. Life is perfect. Then the ceremony is over, and a week later so is the marriage. Twenty years on and Isobel is dressed as a prawn handing out promotional fliers outside an L.A. fish market. Her career is going nowhere and her love life leaves a lot to be desired. Nothing Isobel hoped for has gone to plan. Then, she catches sight of Andrew, her first husband, in the background of a TV news item and wonders: if she can track down Andrew, will she recapture the happiness that she felt all those years ago? 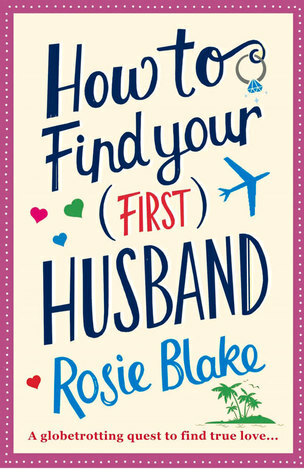 Isobel travels the globe to find her first husband, via Cornwall, Devon and a remote Malaysian island, but is he really what she is looking for? Blurb: Don’t call her a guardian angel. Annabel is dead – but she hasn’t completely gone away. Annabel immediately understands why her first assignment as a ghostly helper is to her old classmate: Julia is fat. And being fat makes you unhappy. Simple, right? As Annabel shadows Julia’s life in the pressured final year of school, Julia gradually lets Annabel’s voice in, guiding her thoughts towards her body, food and control. But nothing is as simple as it first seems. Spending time in Julia’s head seems to be having its own effect on Annabel . . . And she knows that once the voices take hold, it’s hard to ignore them. 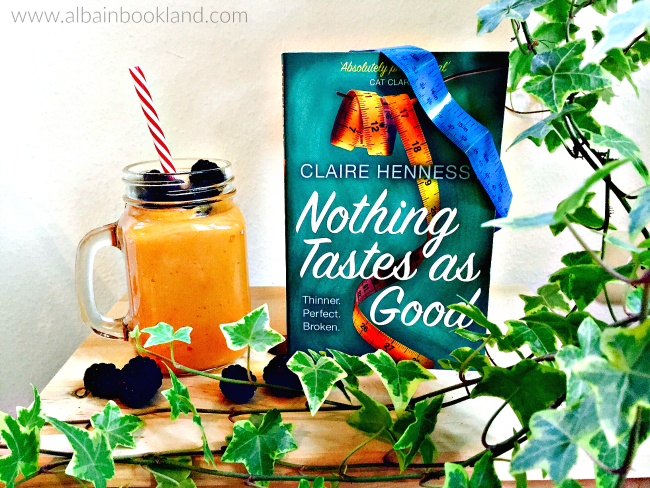 Review: Nothing Tastes as Good is a really smart and thought-provoking story that focuses on very sensitive and current topics, especially eating disorders and self image. The way these topics are handled in the story is very original and refreshing. Basically, we have two teenagers, Annabel and Julia. Annabel was anorexic and Julia is overweight. I used past tense for Annabel because she died and has now become a "guardian angel/esprit" for Julia. She soon realises that Julia needs "fixing", which means she needs to start eating less and less and as she is an expert in not eating, she is quite sure she'll solve Julia's problem in no time. But as we get to know these two teenagers we soon realise that their problems are not that easy to fix but also that their troubles and insecurities are not far-fetched and uncommon. I'm sure every teenager has wondered at some point if they were thin enough, I sure did, and more than one has actually taken drastic measures to lose some (or a lot of) weight. However, you don't find many books that talk about it. And it's important to talk about it. Very important. What is so good about this book is how clearly Claire Hennessy delivers her message. This story is full of humour but also full of heart and it has two complex and really interesting characters that will really get to you. It's difficult to like Annabel though, she is bossy, stubborn and harsh, especially with Julia. But as the the story progresses, her view of the world starts shifting a bit and you see what a bright girl she could have been in other circumstances. It's heart-breaking to realise how damaging and self-destructive eating disorders can be. All in all, Nothing Taste as Good is really worth a read, I'm sure it will leave no one indifferent. 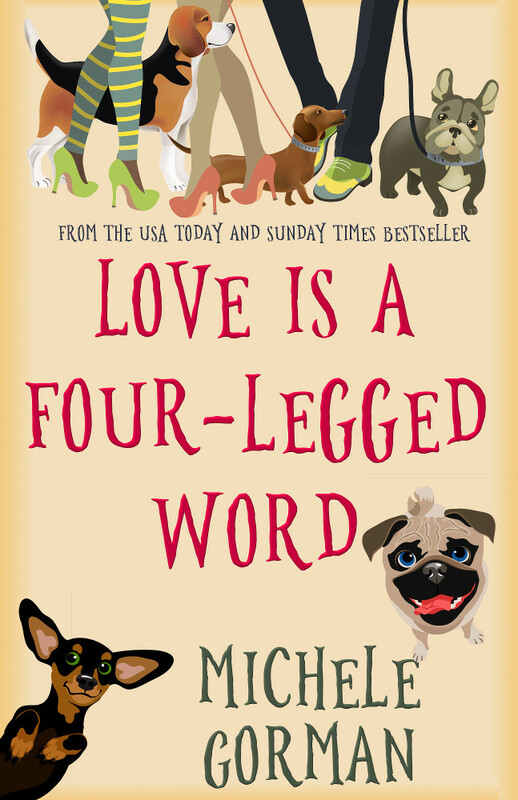 If you enjoy what you read, you can order Love is a Four-Legged Word at the very special pre-order price of 99p on Amazon UK and 99c on Amazon US right up to publication day. On October 13th, publication day, the price will go back up to normal ($5.99/£2.49). Blurb: Best friends Scarlett and Shannon spend their days tangled up in dog leads and covered in fur, running their dog business together. Scarlett’s intensive training course, Ruff Love, fixes owners as much as their pets, while Shannon spends her days walking spoiled pooches. When Scarlett and Rufus's baby plans are decimated by a surprise turn of events, their marriage hits the rocks and they both turn to Shannon. All three relationships are pushed to breaking point, but when loyalties become divided, how do you decide who's most important? 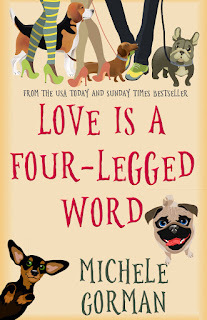 Michele writes books with heart and humour, full of best friends, girl power and, of course, love and romance. Call them beach books or summer reads, chick lit or romcom... readers and reviewers call them "feel good", "relatable" and "thought-provoking". 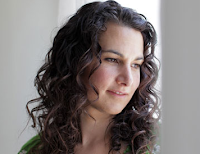 She is both a Sunday Times and a USA Today bestselling author, raised in the US and living in London. 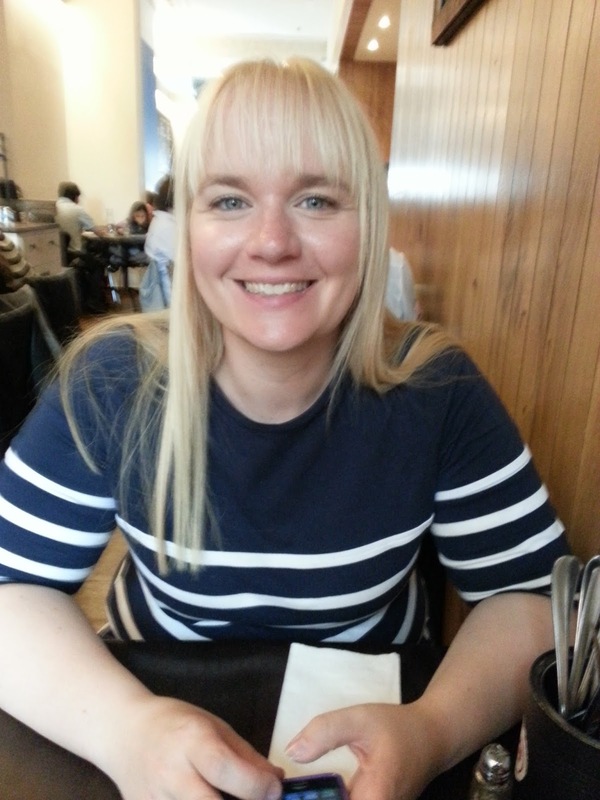 She is very fond of naps, ice cream and Richard Curtis films but objects to spiders and the word "portion". This week’s topic is your ALL TIME favorite books from a certain genre. I decided to pick my favourite thrillers because it's a genre that I only started reading in the last couple of years but one that has completely blown me away. The Missing by C.L.Taylor. Another amazing psychological thriller from C.L. Taylor. It is so cleverly written and so absorbing that I completely forgot about everything else while reading it. Unmissable. In Her Wake by Amanda Jennings. This will definitely be one of the psychological thrillers of the year. It is for me the author's best yet. It held me captive in its atmospheric pages for hours and I just kept telling myself one more chapter until the early hours of the morning. The Girl in the Ice by Robert Bryndza. This is Robert Bryndza's first psychological thriller and what a thriller. Robert managed to create such a dark atmosphere that actually gave me shivers while reading it. All Is Not Forgotten by Wendy Walker. I only read this one this summer but it completely shocked me. What a controversial story. I just wanted to read it all at once to know everything. Silent Scream by Angela Marsons. This is the first book in the D.I. Kim Stone series and by now everyone must have read it already (if you haven't, you are missing out). I'm completely addicted to this series and completely in awe with Angela Marsons' writing, with every new story it just gets better and better. 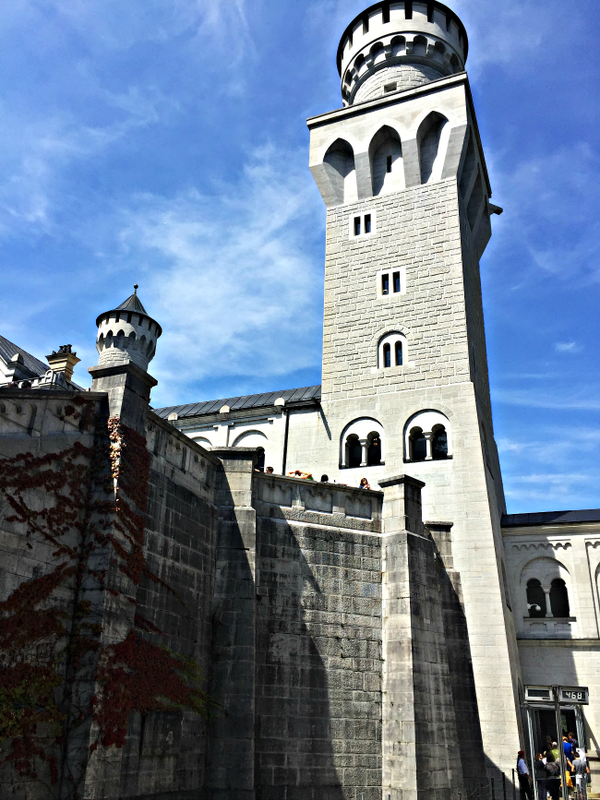 Husband and I moved to Munich in January and since then we've been slowly exploring this city and the area around it. We've been to little medieval towns with a lot of charm, to beautiful lakes, to beer festivals and to huge markets and flea markets. So I've decided to share our little adventures with you all. I'm sure you've heard about Neuschswanstein Schloss, or at least, you've seen it in pictures. 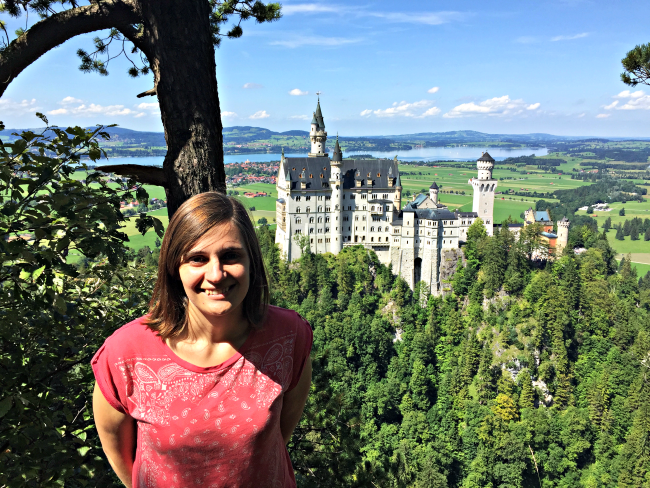 It's probably so famous because it served as inspiration for Disneyland's Sleeping Beauty Castle. This makes it one of the most visited attractions in the whole Germany, with more than 1,3 million people visiting every year, especially in summer. We visited it on August, and I can tell you that it was packed with tourists. But both the castle and its surroundings are stunning, so totally worth a visit. 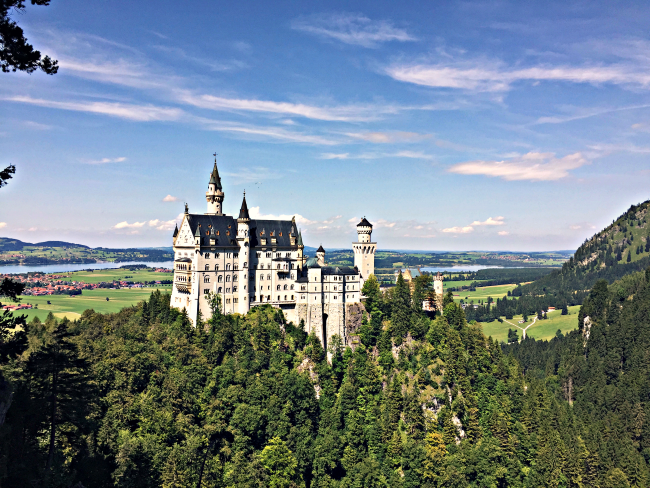 Neuschwanstein Castle is located in the village of Hohenschwangau, about two hours away from Munich. 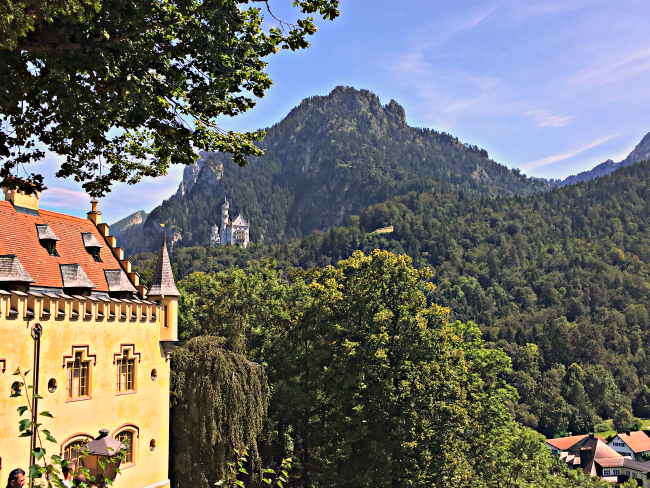 What you probably don't know is that in this village there's another castle called Hohenschwangau. 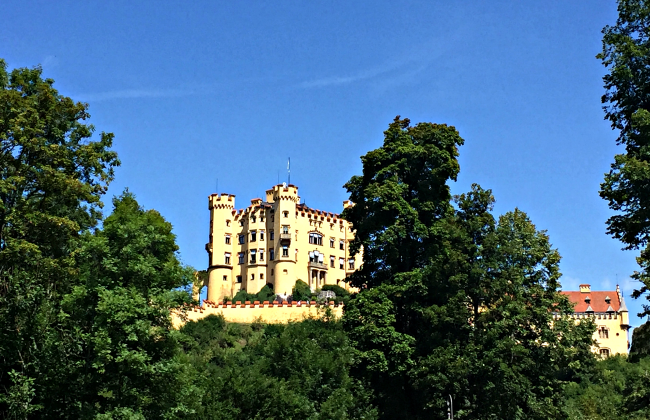 It was King Ludwig II of Bavaria's childhood residence and apparently he fell in love with the area, especially the waterfalls, and because he was quite reclusive, he decided to build himself a personal refuge on the mountains. He also built himself a replica of the Palace of Versailles, you can read about it here. 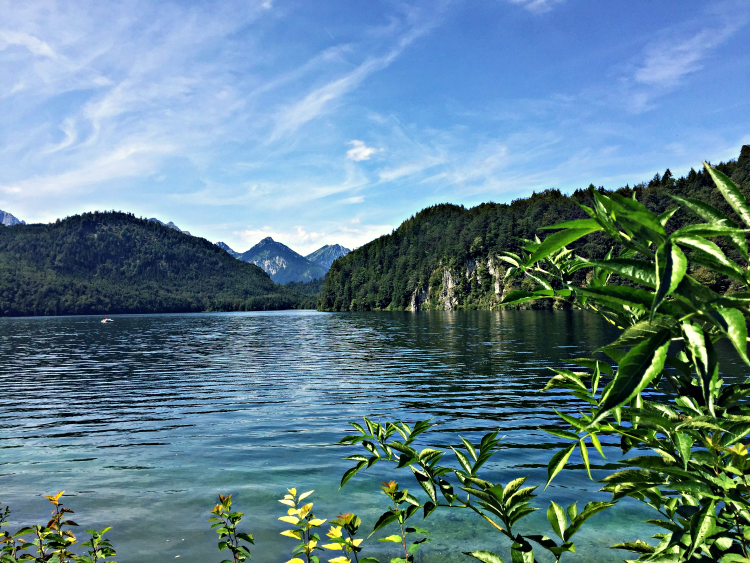 When you arrive at the village of Hohenschwangau, you can already see both castles, Hohenschwangau is just a 5 minute walk up the hill and Neuschwanstein is up the mountain. There's a bus that takes you up there but it's quite an easy hike and most people, us included, opt for walking. Also, in the village there's a gorgeous lake where you can swim if it's warm enough or take a little paddle boat. Before going to the castles, and if you want to get inside, you need to go to the ticket office in the village. When we were there, we arrived at around 11 am and they were selling tickets for 6pm already. So we decided to just have an outdoors day and come back in winter when there're less people and discover the interior then. 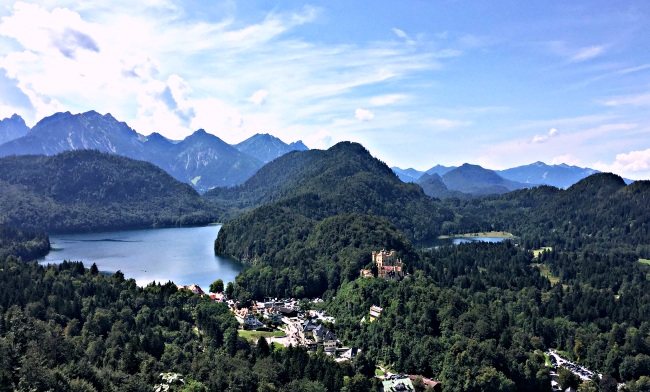 So after having a walk around Hohenschwangau Castle and its gardens, we started walking towards Neuschwanstein. It takes around 40 minutes to get there but as I said, it's not a challenging walk at all. Another option is going up with a horse and carriage ride. This seemed to be the preferred option for children and it looked quite fun. I guess that's how Ludwig himself must have done it. As soon as you get to the top, the views are amazing. Not only of the castle itself but of the landscape, with two huge lakes on the other side of the mountain. I must have taken a hundred pictures. 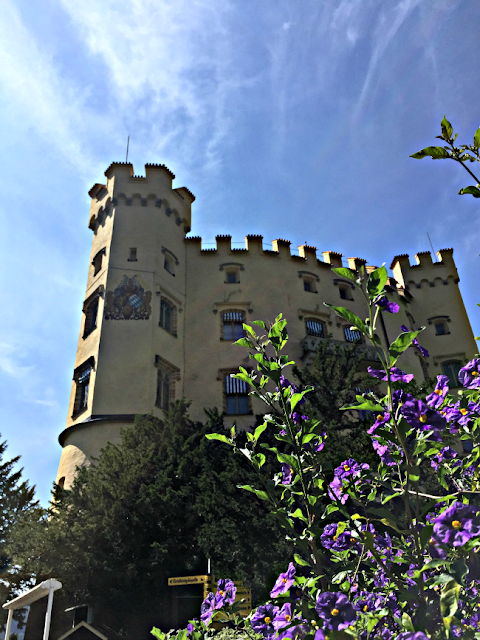 Without a ticket to go inside, you can still get into the castle and see the patio. Which is spectacular, but now I'm really curious to see how opulent and elegant it must be inside. After visiting the castle, we decided to do another small hike to Marienbrücke, a bridge over the Pollät Gorge (the amazing waterfalls the King fell in love with). The bridge is the perfect viewing point for the castle. It was quite crowded when we were there but there were castle personnel controlling a bit the entrance so we could enjoy the view perfectly. We even decided to keep climbing the mountain at the other part of the bridge for an even more impressive view of the castle. On the way to the bridge, you can also enjoy an amazing view of the other castle and the village. With two more lakes in the background. 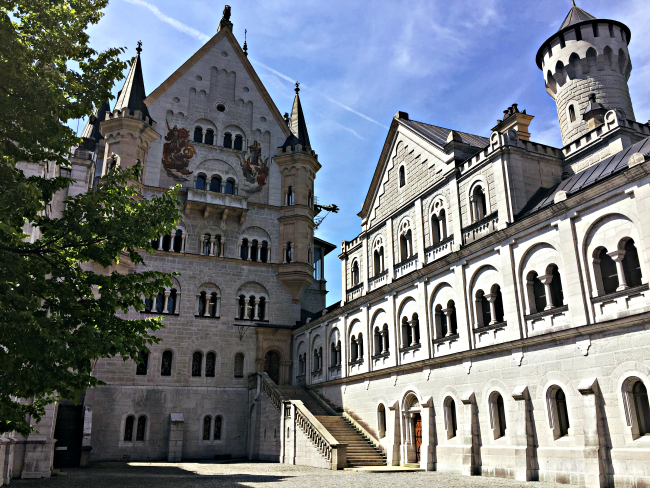 After our little hike, we were quite hungry so we decided to stop at the brewery located just underneath Neuschwanstein. I was surprised to see that the prices were not high at all (considering it was such a touristy place) and we enjoyed a delicious meal. All in all, we had a fantastic day in Hohenschwangau. 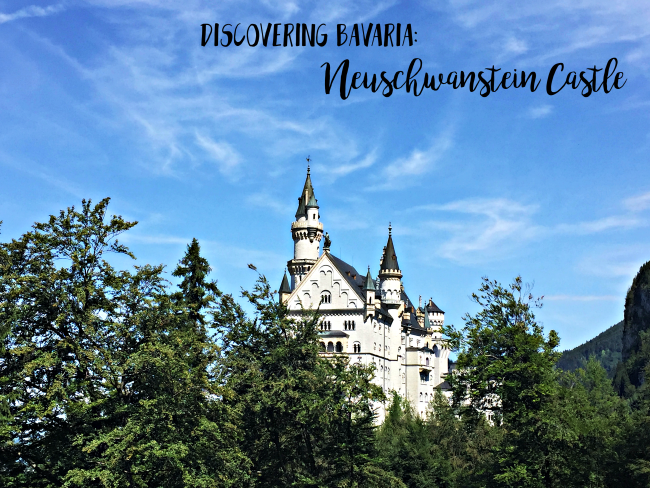 As I said, the area is just stunning and I can't wait to be back this winter to see it as a winter wonderland and discover a bit more about this reclusive King who decided to build himself a fairy tale castle (when he already had 3 castles). 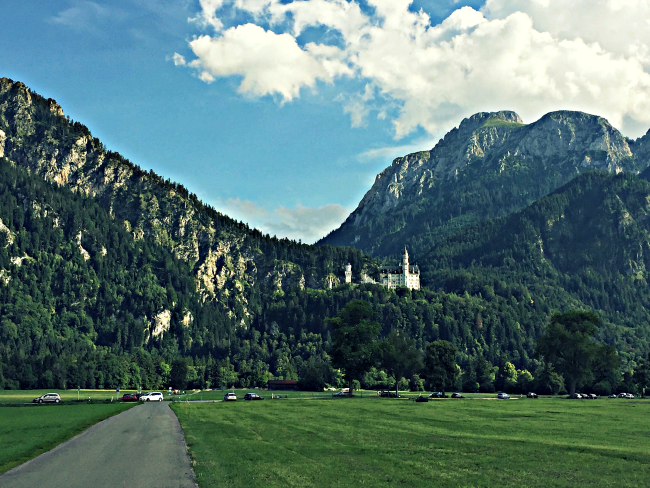 Bye Neuschwanstein, see you next time! 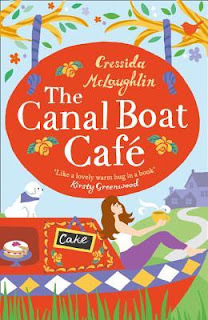 Blurb: Summer Freeman returns to the waterside village of Willowbeck to rescue the Canal Boat Café, her late mother’s picturesque narrowboat, which has run into choppy waters. A family friend, Valerie, has been trying to keep things afloat, but the coffee machine is jammed, the cake offerings are paltry, and not all of the locals want to see the café succeed. Review: Cressida McLaughlin is back with a lovely feel good story. 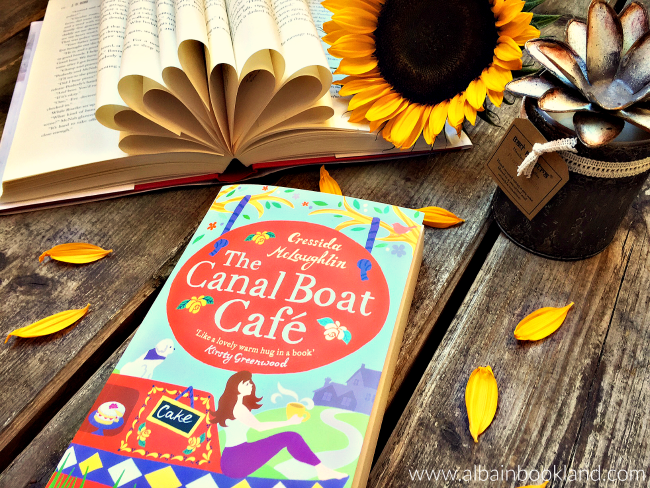 Just as her debut, The Canal Boat Café was first released as a 4-part serialised enovel, so the whole paperback is divided in 4 parts with a little cliff-hanger at the end of each. This makes for an easy and quick read that keeps you wondering what is going to happen next. It has quite a few surprises and it definitely made me chuckle more than once. What else can you ask for? I loved the setting for this story: a canal boat. I've always been fascinated by these boats and every time I've seen one you can visit (on a tour or because it's a café or a shop) I haven't been able to resist having a look inside. So reading about The Canal Boat Café was a real treat. Especially seeing it flourishing as Summer started taking it more seriously. Another aspect I really enjoyed in this novel were the dogs. Both summer and her new canal neighbour, had the cutest and most mischievous dogs ever. They added the perfect fun spark to the story, which turned out to be a bit more serious than I first expected; Summer had some ghosts from the past to get over to before really enjoying her life again. I think this gave the story a new dimension and made me care even more for these characters as they were far from perfect. All in all, I found this story deliciously good. The canal community was lively and generous with each other and they all had their own subplots that complemented perfectly the main story. I found it interesting and exciting and it had the perfect dash of romance. I cannot wait to see what Cressida McLaughlin comes up with next.